Schools “may be doing children a disservice” by failing to follow statutory guidance on excluding pupils, Ofsted has warned. The watchdog said the most “striking examples” were of teenage girls being excluded for carrying a knife for the purposes of self-harm. “In those examples, headteachers were clear that, if other children had seen the knife, they would undermine their zero-tolerance deterrent if they did not exclude,” the report read. The report also warned children being groomed by gangs “may be being coached by dangerous adults to get themselves excluded”. But, during a recent research project on knife crime in London, Ofsted found that for some children, schools seemed to ignore practice outlined in statutory guidance on school exclusions “in terms of providing early help, assessing the wider needs of the child or considering the context in which the child lives fully enough”. The watchdog has now said that it is “not acceptable” for schools to exclude pupils without “considering the the impact on and the risks to the child being excluded”, and called on local councils and regional schools commissioners to challenge schools and multi-academy trusts which ignore official government guidance. Ofsted’s report is timely, coming just a week after a high-profile intervention from the Mayor of London and police chiefs. 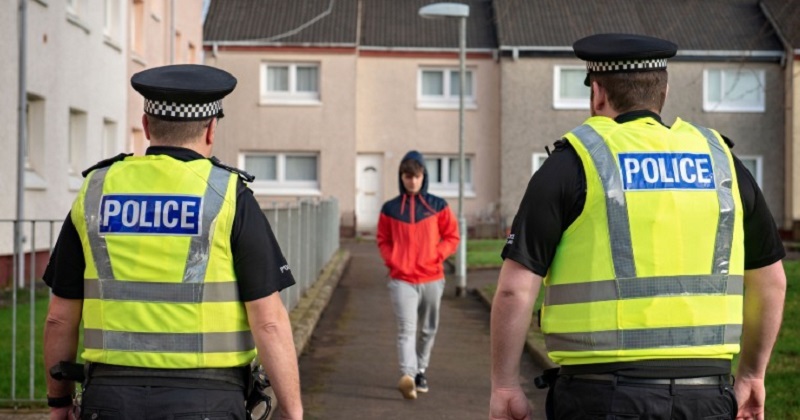 The watchdog has since warned that schools lack the “ability and resources” to tackle rising knife crime rates in the capital. But although it recognises that exclusions remain a “necessary and important sanction” for schools, the research also sheds light on apparent failures of schools to follow the letter of the law on exclusions. Government guidance requires headteachers to “consider what extra support might be needed to identify and address” the needs of pupils from certain groups that are more likely to be exclude, such as pupils with special educational needs or looked-after children. “This guidance on exclusions applies to exclusions because of knife-carrying as much as to any other behaviour management issue,” said Ofsted in its report today. Ofsted’s research identified “different approaches” across London when pupils found to be carrying knives in school. Some heads consider the circumstances of the individual child and the intention the child had for carrying a knife, an approach which “tends to result in the child being retained at the school until all other possible options have been exhausted”. Others prioritise the welfare or safety of the majority of pupils, and tend to “immediately permanently exclude” or encourage parents to consider a “managed move” to another setting. Headteachers told Ofsted they would “exclude children immediately without considering early intervention and support to remain in the school”. Ofsted has recommended local councils have a “strategic response to permanent exclusions”. Town halls should, along with regional schools commissioners, “challenge schools and multi-academy trusts if exclusions do not appear to be in line with statutory guidance”, the report said. “School leaders are concerned, as are we, that some schools are not following practice as set out in DfE exclusions guidance,” Ofsted’s report states. School leaders also reported not always being given all the information needed when accepting an excluded pupil, Ofsted warned.